We’ve accomplished so much in 2018, and couldn’t have done it without your support. One of the simplest ways you can continue to support us is with a donation to the LA County Library Foundation, a private nonprofit dedicated to funding important LA County Library projects like our Cultural Resource Centers, Family Place programs, and Homework Help. Foundation funding helps us enrich lives and add value to our communities by keeping our services accessible, impactful, and free. All Foundation donations are used to support programs, services, education, and new technology for our customers—you! Expanding our MākMō maker mobile fleet to 10 vehicles! These vans travel throughout LA County teaching all ages the importance of STEAM using fun activities. Creating Reading Machines, early literacy mobiles that visit partner sites like day cares, preschools, and health clinics to deliver Storytime and take-home activities beyond library walls. Rolling out Reading STARS, an intergenerational tutoring program that pairs older adult volunteers with students in grades K-3 to raise reading levels of those who fall behind. Placing book vending kiosks in offsite locations for Transitional Age Youth and Older Adults, to promote easy access to literacy with a library card. 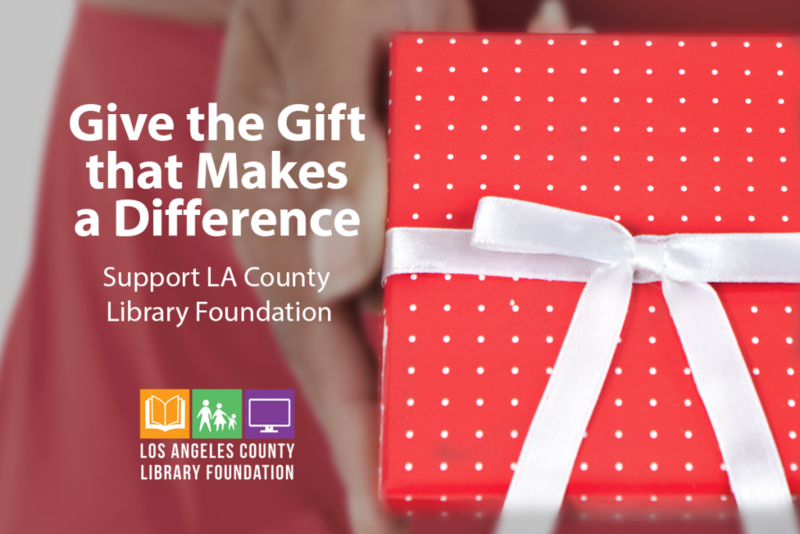 Please consider donating to LA County Library Foundation today to help us expand and enhance our programs even more in 2019. We appreciate all you have done and all you continue to do, and thank you in advance for your contribution and ongoing support.